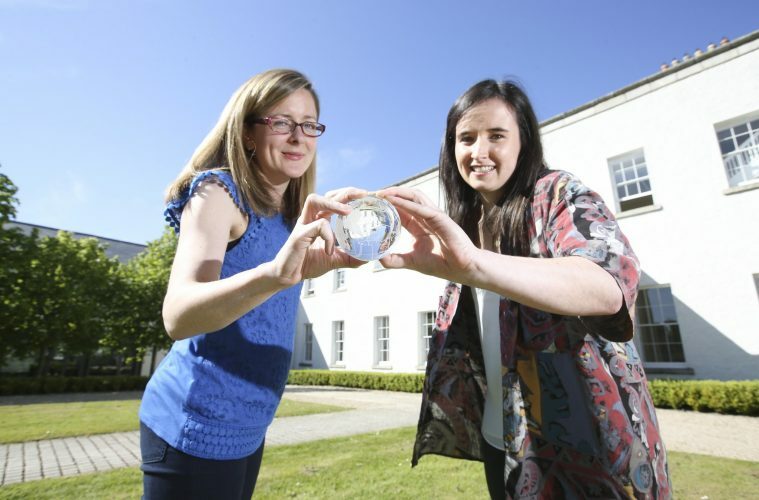 Game Changer, an early-stage venture, has won a University College Dublin (UCD) commercialisation award. Game Changer is developing a platform to provide post-match sports performance analytics for individuals, teams and organisations. There is currently a lack of tools to easily and simply provide appropriate use of performance data in sports. To solve this problem Game Changer is developing a platform, based on statistical modelling, which will allow team management and players to instantly and visually examine their match performance statistics, and compare their performance to that of previous games. Furthermore, the Game Changer platform can facilitate the development of bespoke products, such as a statistically based tool, to identify key players for team selection or potential recruitment. The founders of Game Changer are Dr Claire Gormley and Emily Duffy. Dr Gormley is a lecturer in statistics in the UCD School of Mathematics and Statistics and a funded investigator with the Insight Centre for Data Analytics at UCD. Ms Duffy has just completed her BSc Statistics undergraduate degree in the UCD School of Mathematics and Statistics and worked on Game Changer as part of her final year research project. Game Changer was the overall winner of the 2016 UCD Insight Innovation Sprint Programme, a 1-day initiative designed and delivered by UCD’s technology transfer and enterprise development teams at NovaUCD. Each 1-day Innovation Sprint Programme aims to encourage the development of commercial outputs, arising from specific research areas, by engaging with researchers at an earlier stage in the commercialisation process. The latest 1-day programme was aimed at researchers in the Insight Centre for Data Analytics and included participants from UCD and NUI Galway. During the 1-day 2016 UCD Insight Innovation Sprint Programme a number of internal and external technology and business professionals collaborated with the UCD and NUI Galway researchers to explore the commercial potential of transforming their research ideas into early-stage business ideas. A total of 39 researchers with 31 business ideas have taken part in the seven 1-day Innovation Sprint Programmes delivered to date at UCD. The other programmes have focused on business opportunities arising from research taking place in; Agri-Food; CleanWeb; Data Science, Engineering, IoT and Life Science. At the end of the programme Game Changer was presented with a €500 professional service prize fund to assist with further developing the business idea, as it was judged to have the most commercial potential. The members of the judging panel for were; Martin Ganter, founder and CEO, ClearTone Technologies; Tracy O’Rourke, co-founder, Vivid Edge and Brendan Cremen, UCD Director of Enterprise and Commercialisation.